There are 7 comments for this item. (good ol' Shirl, still gloriously out of tune ). I'm fairly sure James Brown's is the only version of "I Feel Good." Hey, Bob Matthews. Its funny, I was just playing my old 45 of "Keep A-Knockin'" a couple days ago and I had the exact same thought: "Now THAT'S a real rocker!" I guess I only know James Brown's version of "I Feel Good." "I Feel Good" -- wasn't that Shirley & Lee? 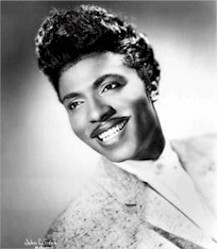 Little Richard's "Keep A-Knockin'" -- now there's a rocker!! I Feel Good... usually wakes me up! Used to get my kids up with "Good Golly, Miss Molly" and "Tutti Frutti". They were not amused. Surprisingly, my kids like oldies---told me, "Mom, that's all you played."